The only thing better than an awesome free song is 50 awesome free songs. 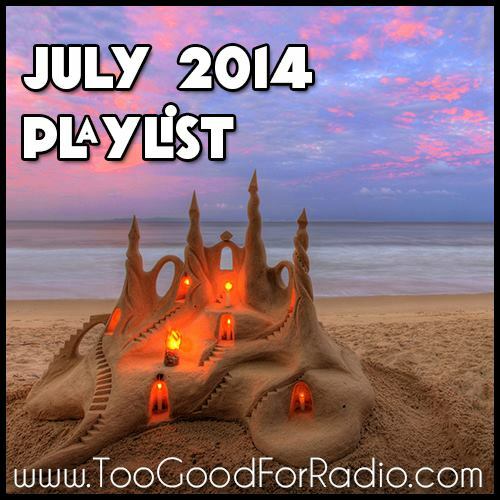 Indie rock, hip hop, electronica, mashups, and everything in between is on display in the July 2014 Playlist. Too Good For Radio tries to jam pack as many new and exciting artists as possible into each month’s playlists, so you can go out and support these artists when they come to your town. Buying a ticket to their show is the least you can do for these lucky bastards who escaped the 9-5 life. We do this sorta thang each and every month, so check out the archive for hundreds of hours of free music. If you would like to be featured on this publication, message us your song on our Soundcloud.